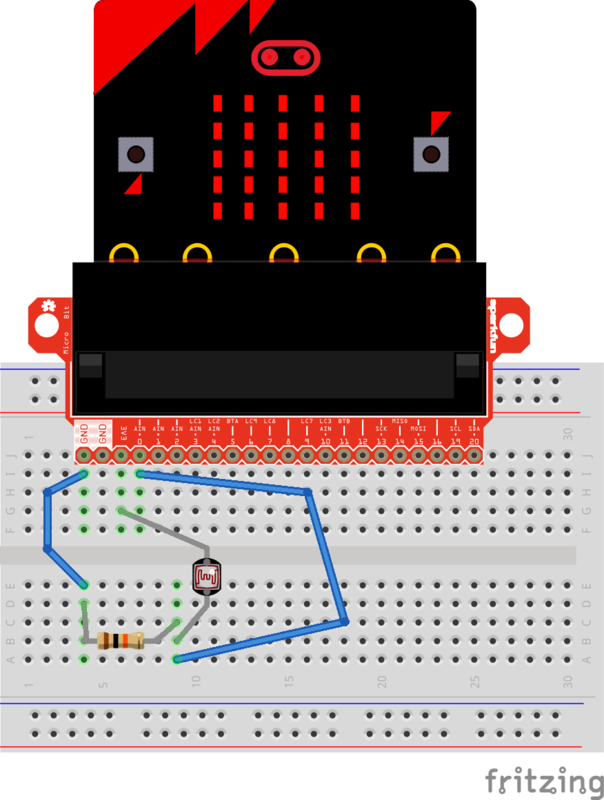 Use a mini photocell wired with a breadboard and breadout board for the micro:bit to make a simple light sensor! This project was inspired by this project: https://www.andreagrandi.it/2016/02/08/using-a-light-sensor-with-bbc-microbit-and-micropython/. I have added instructions on how to build this using the block based editor: https://makecode.microbit.org/. Fairly straightforward code. See attached pdf for block-based example too.